Washburn guitars are a mainstay in the world of Blues and Rock. One of the longest running guitar makers in the world, they are the choice of many incredible guitarists. Paul Stanley of Kiss currently uses Washburn guitars as does Nuno Bettencourt of Extreme fame (who is currently playing with R 'n B sensation Rhianna on her latest tour) Not only the choice of glam stars but heavier side of the industry is also present on the Washburn artist list as Dan Donegan of Disturbed plays Washburn Guitars. 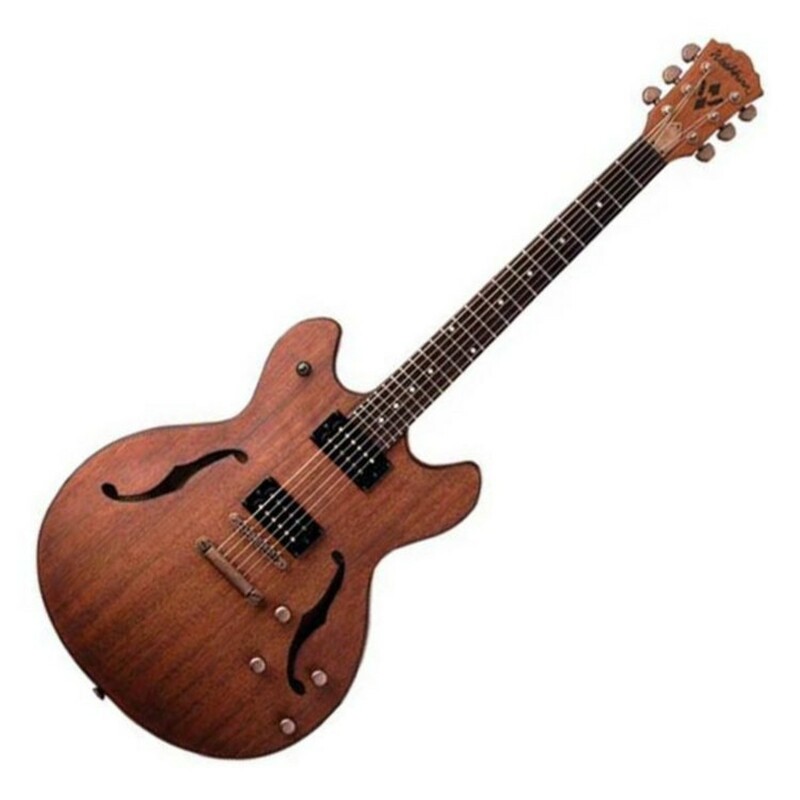 The American Jazz/Blues outfit "Widespread Panic" play Washburn Hollow body guitars much like the Washburn HB32DM.